Through her career, Deanna has progressed through a variety of roles, all of them connected by a common thread of technological change and its impact for organisations. From her introduction to organisational culture change and disruptive technology in a regional university, Deanna moved to a small team rolling out eLearning in a metropolitan polytechnic college and begin a lifelong respect for the critical role librarians and provocateurs play in leading technological change. In 2006, Deanna discovered a passion for simulation and virtual reality, working with trainers and senior leadership teams across mining, healthcare, defence, transport, and manufacturing to design and implement complex simulation projects. In 2007, she repurposed a military tool and introduced serious games to the mining industry. She was elected to chair Australia’s international simulation conference, SimTecT, from 2008 to 2013 and from this platform joined the international simulation community, forging strong relationships with organisations and thought leaders in Europe and the Americas. In 2013, Deanna started publishing a magazine Simpublica, showcasing the diverse discipline of simulation. Most recently, Deanna has been working as both a consultant to industry and industry advocate, focused on developing sector-wide governance infrastructure (such as professional accreditation and standards) and knowledge about emerging applications such as virtual reality, simulation and BIM. She is a committee member or invited speaker at several emerging technology events, and has contributed to several fora on behalf of SIBA recently, including Pivotal, Smart Communities and a SIBA/RDA skilling priorities workshop. Deanna is also a member of the SIF Industry Advisory Panel. Deanna brings a collaborative and capability-building leadership style to the role, to complement her ability to conceive and execute big strategic visions. Her experience includes designing strategies to fit the changing marketplace, developing appropriate governance to support operations, re-engineering business models and organisational structures, and providing thought leadership to government and potential clients about the challenges of emerging and disruptive technologies. She is particularly interested in the dynamic between paid staff, volunteers and contractors, and how to maximise contributions effectively. Deanna has published several papers arising from her work, and continues to volunteer to support professional development and public relations activities in the simulation and spatial industries. 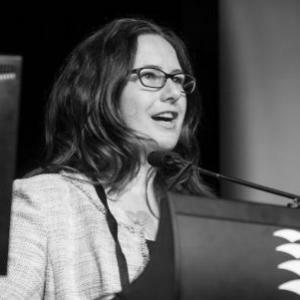 She is currently Deputy Chair of Simulation Australasia’s Professional Development Committee, and a facilitator of Simulation Australasia’s Foundations of Simulation Acquisition program.